A number of parish churches across Lancashire are putting the poppy front and centre with eye-catching displays in their churchyards. 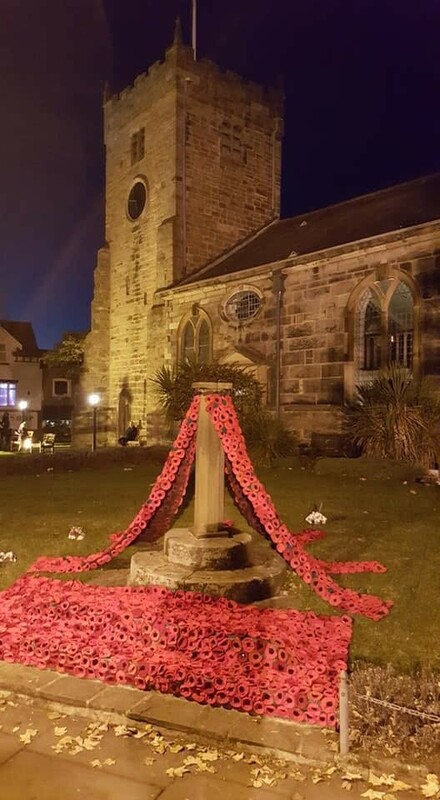 They include St Chad’s at Poulton-le-Fylde which has marked the centenary of the end of WW1 with an external display of 2,000 poppies, many of them sent from far and wide including Scotland and Wales. A Service of Dedication for the display took place on Thursday November 1. 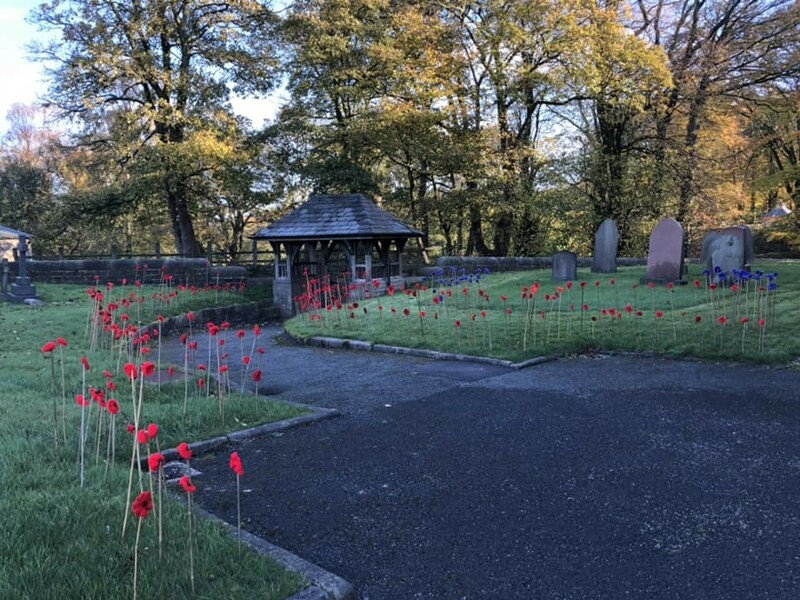 Meanwhile, parishioners at Holy Trinity Church in Hoghton have also created an external poppy display that meanders through the churchyard from the gate to the church door. And at Ribchester Parish Church there is a moving silhouette of a soldier carrying a fallen comrade in the parish churchyard.